The Board Room is superlative on many levels. It is our largest meeting room with a spacious handmade cherry wood table and matched Geiger imported leather seating. The expansive, full wall window view is from the highest location in Morris County. The room features a custom built in whiteboard and wall mounted LED monitor. 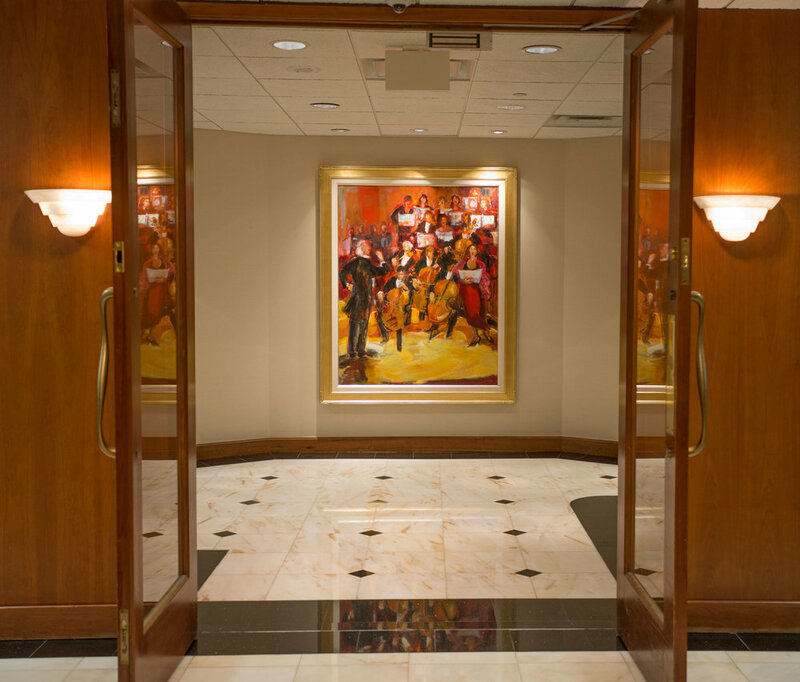 It is also adjacent to our Meeting Concierge reception for instant service response.